WaveCrest Resort Unit B209 on the Beautiful Island of Molokai. If you want to get away from it all, you owe it to yourself to checkout the island of Molokai. This beautiful unspoiled island is just the place to relax and see Hawaii the way it used to be. It's hard to believe that there are no crowds on some of the most beautiful beaches in all of Hawaii. Take a step back and "Slow Down, You're on Molokai". There are no stop lights on the whole island. The maximum speed limit is 45 miles per hour and No big box stores. WaveCrest resort is the perfect place to get away from it all. It's 13 miles from the largest town on the island, Kaunakakai. The ride to the resort from town is a gorgeous coastal ride with views of Maui and Lanai on the way. The resort has a great pool and covered Cabana area by the pool with restrooms and BBQ grills for you to use. All, right on the ocean with views of Maui and Lanai. On clear days you can even see the Big Island and Kaho'olawe. Now for our condo, it's in the B building which is placed to take maximum advantage of the trade winds. There is no A/C but the trades blow right through the unit to keep it cool. The lanai is large, 100 sq-ft so you can relax out there and take in the trade winds while watching the whales between Maui and Molokai in the winter. You can also check out the majestic sea cliffs behind the resort. It reminds me of Napali coming right down behind the C building at the WaveCrest resort. The condo is on the second floor and note there are no elevators which is common on Molokai. The condo and lanai is over 700 sq-ft and easily sleeps 4. The bedroom has a queen bed and the sofa folds out into a queen also. We have been doing some upgrading since buying the condo and have added new towels and linens along with a new microwave. We also added some beach towels and chairs for our guests to use. For those of you that need to stay connected we have also added high speed internet with WiFi. Keep watching this page as I will be adding places to go and things to do while on the island. The island is just a short 20 minute flight from Oahu or Maui so there is easy access. It's only about a 30 to 40 minute flight from either the Big Island or Kauai. Pricing for the WaveCrest Condo on Molokai starts at $630 per week. Below is a link that you can use to check availability and book directly online. 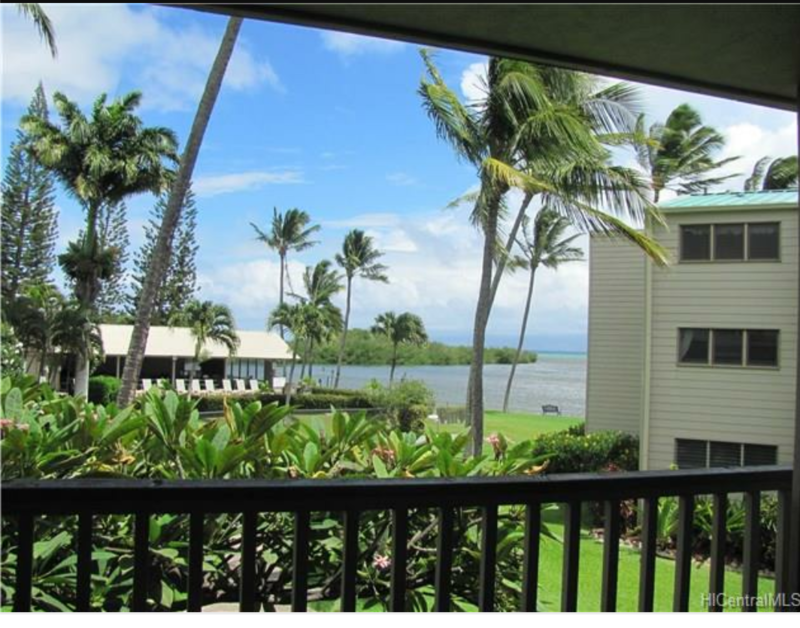 This condo will make a perfect second week to add to your Hawaiian vacation! !